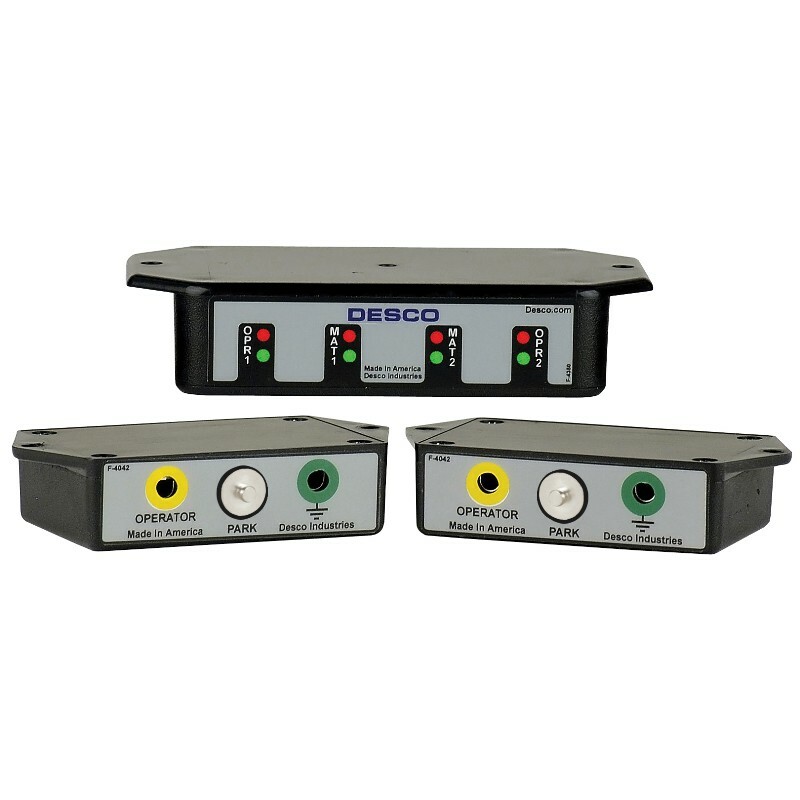 Desco Asia - "19246 Dual Operator Monitor, 120VAC "
Continuously monitors the integrity of both operators and ESD workstations, eliminating the need for periodic testing and recording. 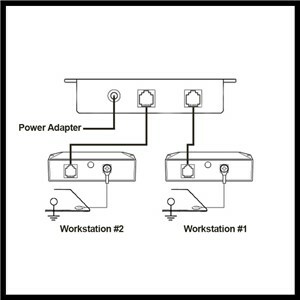 Ideal for adjacent workstations for assembly, test, packaging, or other applications. 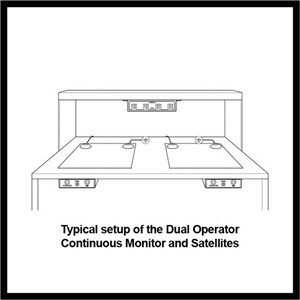 Ready To Use Unit Includes Control Unit and Two Satellite Remote Monitors. Control unit can be mounted at eye level away for work area so that current status is easily monitored and satellite remotes can me mounted in desired locations up to 7 feet from control unit. Each satellite includes a monitored wrist strap ground, parking snap, and unmonitored ground for guest, cart, equipment or other grounding applications. Provides means for operator to disconnect wrist strap cord when normally leaving the workstation without audible (false) alarm sounding. 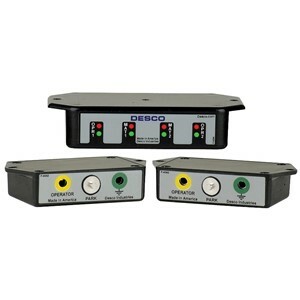 Full Time Status LEDs and Audible Alarm for Operator and Workstation Monitoring. Note: Continuous Monitors pay for themselves improving quality, productivity, eliminating wrist strap daily testing and test result logging. Per ESD-S1.1 paragraph 6.1.3 Frequency of Functional Testing "The wrist strap system should be tested daily to ensure proper electrical value. Daily testing may be omitted if constant monitoring is used." Per ESD Handbook TR 20.20 paragraph 5.3.2.4.4 "Typical test programs recommend that wrist straps that are used daily should be tested daily. However, if the products that are being produced are of such value that knowledge of a continuous, reliable ground is needed, and then continuous monitoring should be considered or even required."